Under the Economic Transformation Programme and the National Aerospace Blueprint of 1997, the Malaysian government has identified the Maintenance, Repair and Operations (MRO) sub-sector as a vital component in making Malaysia a major player in the global aerospace market, predicting that the Malaysian aerospace sector will be worth US$65 billion by 2020. Amid News of AirAsia’s recent order of Airbus aircrafts valued at US$9.4 billion, and national carrier, MAS’ acquisition of several new Boeing aircraft, the country’s commercial aviation sector is set for growth. Coupled with the acquisitions in military aviation, the trend marks an increasing demand for MRO services and solutions to manage the growth in the sector. In tandem with these current developments, MTA2013, returning to the exhibition halls at Singapore Expo from 9 to 12 April 2013, will be unveiling a Capabilities Hub – to meet the needs of Malaysian companies serving the aerospace industry. The Capabilities Hub will showcase a strong cohort of enterprises that serve the precision engineering industry. These companies will demonstrate their aptitudes in the manufacture of high-quality, advanced solutions – all dedicated to meet the emergent needs of Asia’s Aerospace, Complex Equipment, Medical Technology and Oil & Gas sectors. Established for more than 30 years, Ascender Global Engineering Sdn Bhd produces high end components for injection molds, including cavities, cores, sliders, stamping dies, punches, dies, strippers and precision machine tools. The company also provides CNC machining services. A subsidiary of Chimera Co Ltd (headquartered in Japan), Ascender Global Engineering serves a diverse range of sectors such as automotive, medical, semiconducter and is venturing into the Malaysian aerospace sector. Ascender will be banking on its parent company’s, Chimera, expertise in providing top quality services and solutions for aerospace customers such as IHI Aerospace Co., Ltd.
“The manufacturing landscape continues to grow and change, and we have to focus on producing components and parts that are highly complex or involve critical proprietary content. We are constantly leveraging on current technologies to develop solutions that will meet our customers’ specific requirements. MTA2013 is a relevant platform for us to highlight our custom services and provides us the opportunity to extend our business in the region,” states Mr. Tomohide Miyazaki, Managing Director. Other Malaysian companies participating in MTA2013 include Hans Laser Sdn Bhd, Inmac EDM-Tools (M) Sdn Bhd, NCT Solutions Pte Ltd, the Singapore subsidiary of NCT Technologies Sdn Bhd and Sirius Technology Sdn Bhd. Companies who have pre-registered to attend MTA2013 include Cameron International Malaysia Systems, Asahi Suspension Parts Corporation Sdn Bhd and SME Ordnance Sdn Bhd, who will be sourcing for the latest manufacturing technologies and solutions. Beyond the Capabilities Hub, MTA2013 will also unveil global manufacturing bigwigs who will be demonstrating their latest portfolio of machine tools and tooling systems targeted at the Aerospace sector. 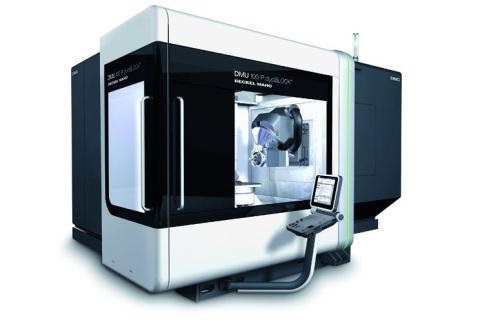 DMG Mori Seki will launch the DMU 100 P duoBLOCK® – a 5-axis simultaneous processing with NC-round table and NC-controlled B-axis in standard. 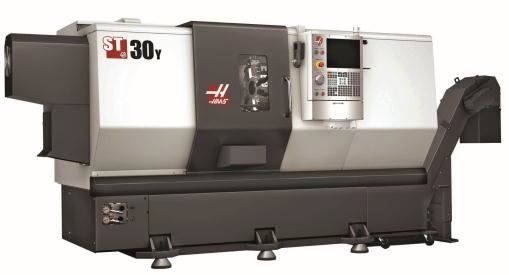 DKSH Technology will take this opportunity to showcase a USA brand, the Haas ST-30 Y-Axis Lathe for off-center milling, drilling, and tapping that come standard with high-torque live tooling and a servo-driven C axis for versatile 4-axis capability. 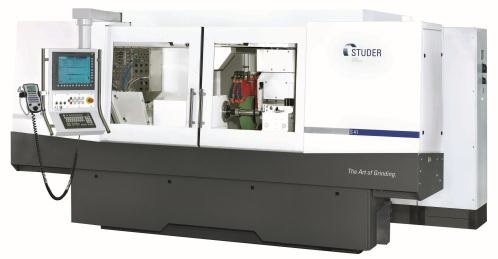 Also at the DKSH’s stand is a made-in-Switzerland technology, the Studer S41, a CNC universal cylindrical grinding machine that has technical features, such as the revolutionary StuderGuide guideway system, high-precision axis drives with linear motors, extremely fast direct drive of the B-axis and an even larger selection of grinding head variants. Asia’s foremost precision engineering event, MTA, is gearing up to return with a loud bang. The 19th edition of MTA will see trade professionals hailing from all facets of Asia’s diverse manufacturing sectors converging on one platform. These professionals have a firm goal – to peruse an expansive range of high end manufacturing capabilities spread across the exhibition show floor at the Singapore Expo. With Singapore being the key manufacturing hub in Asia, coupled with the prestige of MTA being the premium market place for both international and regional machine tool brands, MTA has long been the choice platform for machine tool brands to launch their latest products and services in Asia.